Data centers consume large amount of electricity but it still has opportunities to reduce energy use. However, significant knowledge, training, and skills are required to perform accurate data center energy assessments which are different from general energy audit for commercial and residential buildings. 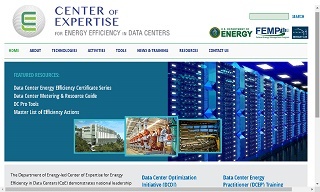 In order to accelerate energy savings, the data center industry and U.S. Department of Energy (DOE) partnered to develop the Data Center Energy Practitioner (DCEP) Program. The DCEP training program certifies energy practitioners qualified to evaluate the energy status and efficiency opportunities in data centers. With the approval and coordination granted by the DCEP Program Administrator (PA) - ANCIS Incorporated, we are proud to announced the 3-day DCEP Program (Generalist Level, 1-day; and Specialist Level, 2-day) is launched in Hong Kong with a qualified DCEP trainer based in San Francisco, California. Level 1 Practitioners ("Generalist", 1-day Training) will be expected to have a good understanding of 3 data center disciplines (HVAC - Heating, Ventilation and Air Conditioning, Electrical and IT-equipment) for providing broad recommendations based on the high-level DC Pro (Data Center Profiler) Tools. Level 2 Practitioners ("HVAC-Specialist", 2-day Training) address HVAC energy opportunities using in-depth Air Management Assessment Tool. The Level 1 and Level 2 exams are open-book with multiple-choice questions following the training sessions. The result is either Pass or Fail. The passing score is 75%. There is a waiting period of 30 days to retake the exam(s). If a candidate received a pass score on the Level 2 exam but failed on the Level 1 exam, he/she will not receive a certificate for either Level until he/she has a pass score on the Level 1 exam. The 3-day DCEP Program (Generalist Level, 1-day; and Specialist Level, 2-day) will be conducted by a qualified DCEP trainer. For the DCEP in Hong Kong, only enrolment for both Levels are accepted. Fee: Official rate for both Levels (3-day) is US$2,900 (HK$22,800). Course materials (in digital and/or hard copy), examinations and applications fees are already included. For details, please visit http://datacenters.lbl.gov/dcep. Please note ANCIS Incorporated is the official training organization of the Data Center Energy Practitioner (DCEP) and Strategic Media Asia Limited is the approved program partner in Hong Kong for local adminstration. Either online or paper application is accepted. Upon receipt of your registration, the team will be in touch with you (by phone / email) very soon.